What could the UK learn from adult social care in Japan? The UK is not alone in struggling to build an affordable system of social care that meets the needs of increasing numbers of older people. So can it learn from other developed nations such as Japan, which had many of the same problems 25 years ago? In the 1990s, Japan had a social care system that was not working, a growing number of older people requiring support, and a negative attitude to immigration. Over the years that followed, it was able to reshape its social care system – which also covers much nursing care in the community – by building popular support for reforms that had the potential to be controversial. Japan has gone on to review and change the system while developing support for older people who might require increasing levels of care. Nuffield Trust report on the Japanese system. Social care in the UK is in a parlous state, with the public sector struggling to fund it even for those with the greatest need. Providers are going bust and there have been years of missed opportunities to devise ways to fund the care that mainly older people need. A green paper on funding is expected in the autumn. Ms Curry suggests there are some things we could take from the Japanese example. One is the public acceptance of the funding regime. But this takes time to develop and the Japanese scheme was perhaps better understood because it applies nationwide. In the UK the system is much more fragmented, with the devolved administrations having their own models. In England alone, there is considerable variation between local authorities. The Japanese model has a high degree of central control and the government has driven the creation of a competitive market. Three-yearly reviews allow the government to flex the system to respond to changing circumstances. ‘The Japanese government has levers to change the system, which contrasts with the degree of responsibility and autonomy given to local government in England,’ says Colin Angel, policy director of the UK Homecare Association. The system in Japan involves mandatory insurance-type payments from the age of 40, at a point when many people are aware of their parents beginning to require care. Payments continue after pension age, and money from general taxation is also put into the scheme. Those requiring care are assessed using national criteria, their level of need determined and a notional budget allocated for them. A set price is paid for elements of care, adjusted to reflect the local cost of living, which gives clarity to providers. People are expected to make 'co-payments' for the cost of care, varying according to means. The system covers home care, which includes nursing care, as well as residential care, including any nursing care. Preventive healthcare and ‘community-building’ (support for older people to remain active in the community) is achieved through a ring-fenced fund. There may also be much to learn from the make-up of the social care workforce. In Japan, there is the clearly defined role of care manager, each of whom has a caseload of around 30 people, many requiring long-term care. Some care managers are nurses, who require an extra qualification to work in this role. The care manager can put together a suitable care package tailored to the individual. Japan has invested in preventive healthcare and is building ‘supportive communities’ in which older people are helped to remain independent and active in society – a positive view of ageing that is sometimes lacking in the UK. Ms Curry says much of this support is ‘very low level’ – it could just be a lunch club or other activity designed to get people out of their homes and functioning in a community. But the approach has its own ring-fenced funding, and includes working with older people who have no care needs but who can sometimes offer peer support to more frail individuals. Many of the resulting projects are small, localised and involve volunteers – the sorts of initiatives that have struggled for funding in the UK over the past decade. In Japan, the justification for spending money on these services is that they delay the point at which people have more formal – and expensive – care needs. But there are elements of the Japanese system that might worry the UK. Control over pricing has meant that working in social care is not an attractive long-term option. This is made worse by resistance to immigration in Japan and by the country’s shrinking workforce – fewer tax-paying workers relative to the number of older people can make it harder to raise enough money to pay for the care system. This is very much the position the UK risks post-Brexit. Japan has also underestimated the demand for services and has had to modify the system several times to reduce costs and boost income. The government has increased payments into the system, reduced the service offered and raised clients’ financial contributions. There is an additional means-tested charge for residential care. While this system offers a more integrated approach than the NHS, the co-payment model is one that is unlikely to be seen as unacceptable in the UK. 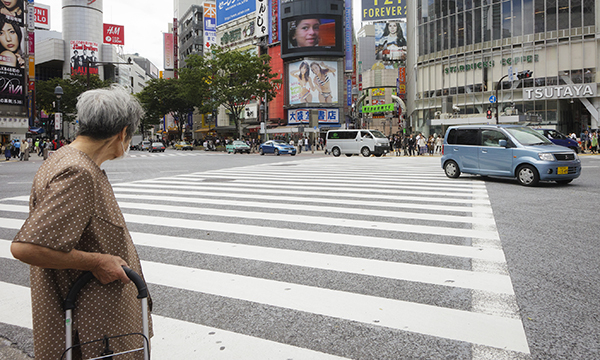 At 84 years, Japan’s average life expectancy is one of the highest in the world. But a falling birth rate, combined with a reluctance to embrace immigration, means its population has dropped. Japan is facing a massive increase in the number of older people and no equivalent rise in the number of working-age people to fund their care. By 2040, more than a third of the population will be aged over 65. The proportion of the population that is over age 80 rose from 0.9% in 1970 to 8.2% in 2016. This is expected to rise to 13.6% by 2040. 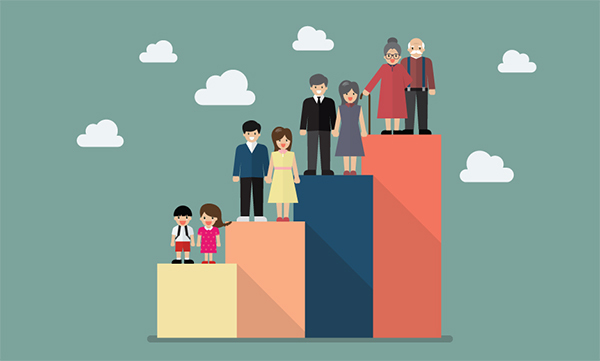 By 2050, for every ten people of working age there will be 7.8 people over 65. While the UK also has an ageing population, the figures are less striking. By 2040, about a quarter of the population will be aged over 65 and 8.1% over 85. The ratio of older people to those of working age will be lower than in Japan. By 2050, for every ten workers there will be 4.8 over-65s. In many respects, the challenges for the UK over the next 20 years will look more like those Japan has faced in the past 20. 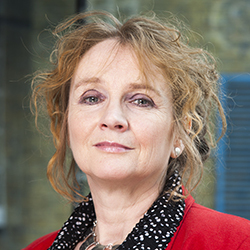 With the government’s green paper on social care provision in England looming, Ms Garrett says it’s important to remember that the success of any social care system is not just about the funding being put into it. Making any new system in England work will depend on the ability to maintain its workforce and to keep people healthy for longer. But is England ready to think differently about social care and learn from other nations? Ms Curry is doubtful about there is the political will required. 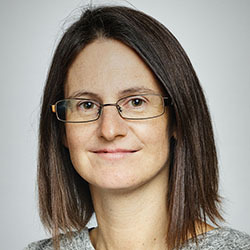 ‘I think we risk this green paper becoming like previous reforms and being either a short-term fudge or being kicked into the long grass because it is too politically difficult to implement,’ she warns. 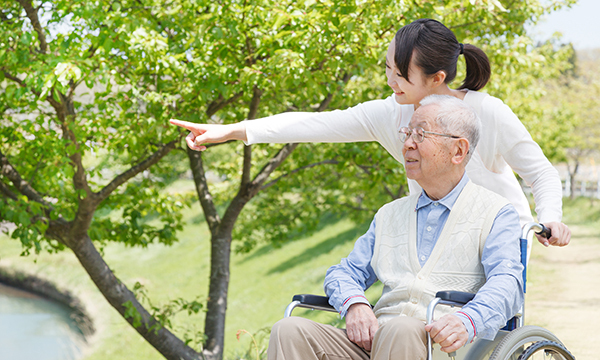 The Nuffield Trust's report: What can England learn from the long-term care system in Japan?